Many people think the Alaska Marine Highway System only serves port communities in the Southeast and Southwest parts of the state, plus Prince William Sound. It turns out the Railbelt benefits, too. The McDowell Group, a Juneau-based research business, was hired by the ferry system to produce an economic impact report. 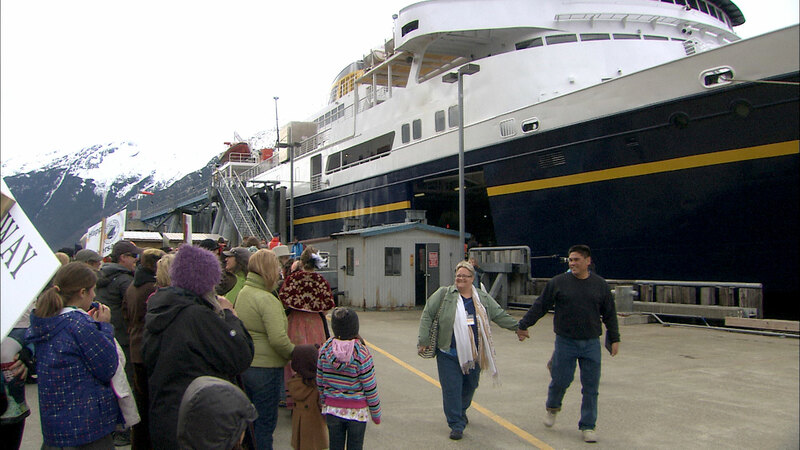 It lists Anchorage and the Matanuska-Susitna Borough among the top hometowns for residents booking ferry travel. And Anchorage is tied for first as the prime destination for ferrying summer tourists. “The marine highway system has this invisible role in the rest of the state that’s not as apparent,” said Heather Haugland, who wrote the report based on 2014 fiscal year information. 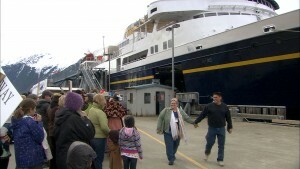 It shows the ferry system to be an essential part of Alaska’s economic landscape. The marine highway employs about 1,000 people directly, which leads to almost 700 other jobs in retail, tourism and other industries. The report, released Feb. 4, said the system led to about $270 million a year of economic activity statewide. That’s more than double what the government spends on operations and maintenance. Direct revenues from ticket sales, freight and related activity remain far below the state’s costs. Haugland said the economic benefits start with about $65 million in ferry workers’ pay. “Those wages, in turn, get spent elsewhere in the state. And that creates indirect impacts. And then businesses, as well, that the marine highway system works with and makes purchases from, they in turn make additional purchases,” she said. Of course, the marine highway’s biggest impacts are on smaller, isolated communities. Their residents depend on ferry travel for medical care, shopping and school trips. “The marine highway system serves 33 communities. And only five of them are connected to the road system,” she said. The report said the marine highway carried almost 320,000 passengers and more than 100,000 vehicles in the year studied. More than 4,000 container vans carried groceries and seafood, as well as other products. Haugland said those are especially important in small communities with few other options. “You can’t just replace the ferry system with air. Air travel (has) a lot of canceled flights. There is not as much capacity on air. It just plays such an essential role in many facets of life in these really small communities,” she said. The schedule has been cut since the data was collected that was used in the report. More reductions are planned, due to the state’s budget crisis. Haugland said economic and other impacts will drop proportionately as sailings and ships are cut. Ferry system spokesman Jeremy Woodrow said the report is timely. “There have been requests from the public and … the legislature as well to look at this economic impact and renew the study information,” he said. Woodrow said the study has been sent to coastal legislators, as well as members of the House and Senate Transportation committees.